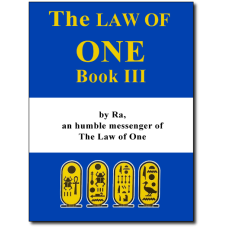 The Law of One, Book Three builds on the information presented in Books One and Two, continuing the exploration of the nature and balancing of the energy centers, sexual energy transfers, healing, reincarnation, meditation and Wanderers. The nature of psychic prophecy is explored in Book Three, as are the nature and ramifications of what are usually called psychic attacks. 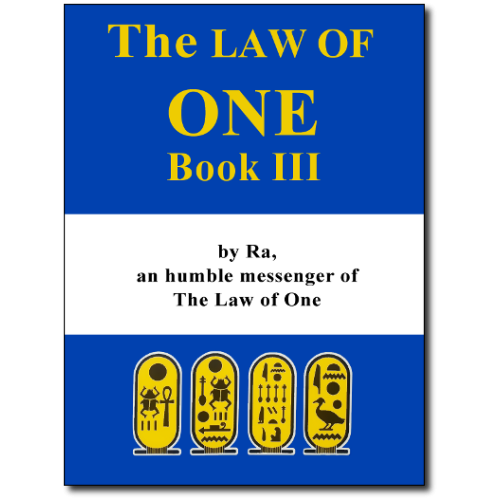 A good deal of information is given on the principles of ritual magic in general and white magic in particular, and a beginning is made in the study of the archetypical mind, which is the mind of the Logos or Love and is the foundation concept for each of our individual minds. Book Three contains Sessions #51 through #75.